On Thursday, like many other working days, we were invited to visit a family and provide them with an estimate of their property pricing. We got a better understanding of their their plan, surveyed the property, presented neighbourhood research findings, showed some of our previous works/results and discussed our potential timing and approach to list their property. They have been following our advertising and marketing and generously praise our efforts. They particularly love our photography and layout. They feel that we put our heart in the work we do. 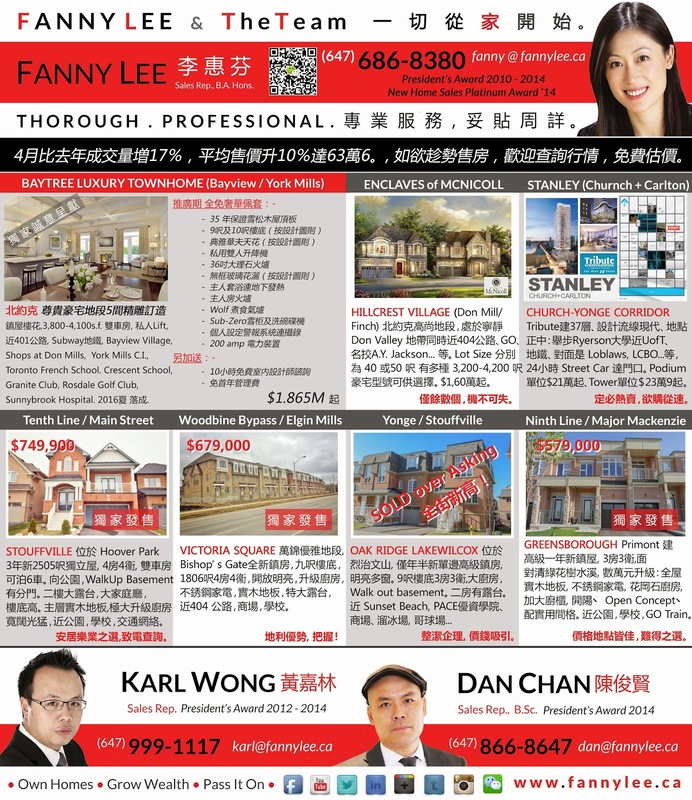 Here is our ad on Sing Tao Daily for this cycle.